October is National Breast Cancer Awareness Month. It is an annual campaign to increase awareness of the second most common kind of cancer in the world. We’d like to take this opportunity to spread the word about ways to participate and contribute to such an important cause. Continue reading to see how. We want to highlight one of the hundreds of non-profits fighting for this cause, Susan G. Komen. To date, the Susan G. Komen organization has invested more than $2.6 billion in groundbreaking research, community health outreach, advocacy and programs in more than 30 countries. Their efforts have helped reduce death rates from breast cancer by 34 percent since 1990; and has helped improve five-year relative survival rates for early stage cancers from 74 to 99 percent. Susan G. Komen is the ONLY organization that addresses breast cancer on multiple fronts such as research, community health, global outreach and public policy initiatives in order to make the biggest impact against this disease. Without the efforts of their amazing volunteers, the organization wouldn’t be able to accomplish even a fraction of this. Susan G. Komen is always looking for volunteers to work on various short-term office projects throughout the year. Visit their website to discover how you can make a huge difference. Donating money to an organization committed to this cause allows them to decide the most beneficial way to use it for breast cancer awareness. Deciding which foundations you want to donate to can be overwhelming. To help, here are five worthy organizations that you can check out thanks to Time Magazine. Looking to support prevention research? Want to help young breast cancer patients? Looking to support breast cancer education? 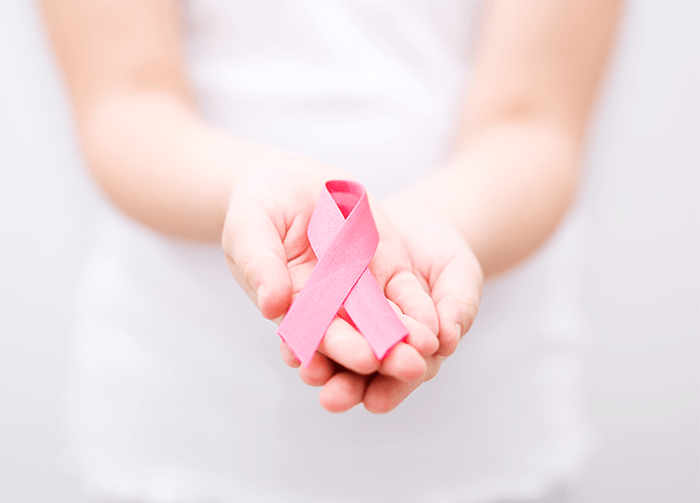 Want to help breast cancer patients avoid debt? The Komen Race for the Cure Series raises significant funds and awareness for the fight against breast cancer, celebrates breast cancer survivorship, and honors those who have lost their battle with the disease. First organized in 1983, the Komen Race for the Cure Series has grown from one Race with 800 people in Dallas to a global series of more than 150 Races with over 1 million people participating on four continents. 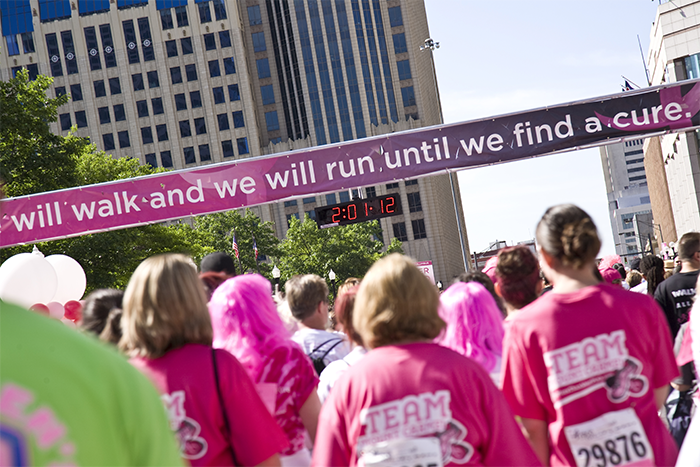 Whether you’re running for your mom, sister, grandmother, or friend, participating in the Komen Race for the Cure is a great way to support such an important cause. Check here to see find the nearest race. If you haven’t guessed it by now, pink is the color associated with breast cancer awareness. From apparel to dishware, there are several ways to sport pink for the cause. For example, the beauty industry is encouraging people to shop for a good cause. From Estée Lauder to Smashbox, several brands are contributing some of the proceeds to various breast cancer awareness organizations. Find out more here. Don’t underestimate the power of sharing! What better way to bring breast cancer awareness to your community than by sharing. Whether it’s your own inspirational story, a photo on Instagram supporting the cause or 140 characters discussing how much fun you had during a Race for the Cure event, sharing will create breast cancer awareness. How do you plan to participate in Breast Cancer Awareness Month?